I’ve been in a wheelchair since the age of two. However, 23 years later I can still vividly remember how I felt and the pure excitement that came upon the delivery of my first Permobil. For me my motorized Permobil is an essential part of my independence. My WHEELS are basically my legs. My wheelchair provided me the ability to do the simplest of day to day tasks as a kid. I was able to “run around” on the playground and participate in playing with my peers. My Permobil has allowed me to create so many memories of adventures I’ve tried in my wheelchair. Adventures like traveling across the US, taking my wheelchair down the hiking trails to reach the bottom of the Grand Canyon, or when I insisted on trying to “climb” up the Grand Teton Mountain range in my wheelchair, or simply using my Permobil as a four wheeler across the beach. I must admit that Permobil’s are amazingly sturdy little machines that can get you all around. Permobil technology has made some wonderful advancements over the years and the company is continually looking to expand and create new and improved features to fit the needs of individual clients. 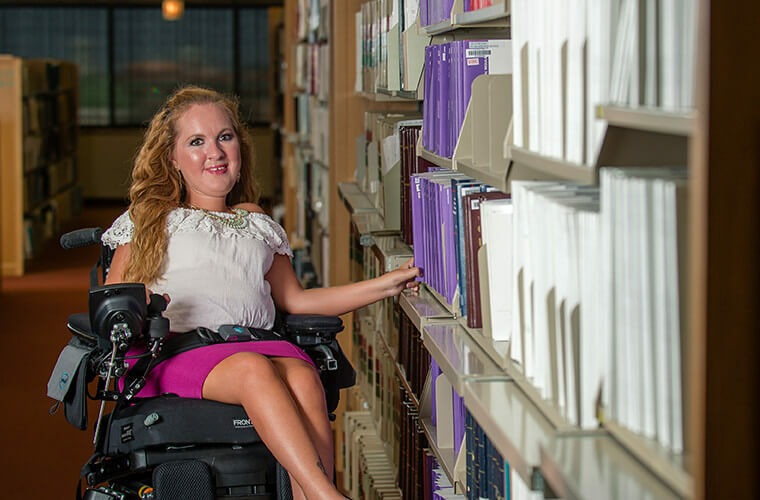 As an adult the advancements Permobil have made to their wheelchairs has provided me the ability to attend college and graduate school, work full time, and experience a new level of independence. My disability and need for a wheelchair will always be apart of my life. My Permobil doesn’t define who I am as an individual. It’s simply a attribute that allows me to live my life as “normally” as possible. The entire Permobil team genuinely care about each of their clients and put a large amount of time dedicated to research and the discoveries of new technology available. This is why I feel beyond blessed to be involved with the Permobil company and will always continue choosing them as my wheelchair provider. After all they’re the ones responsible for giving me my independents and pimping out my rides.